Our Hip and Knee BioSpacers™ are innovative and highly effective devices designed to help overcome arthroplastic infections, whilst maintaining mobility and quality of life for the patient. 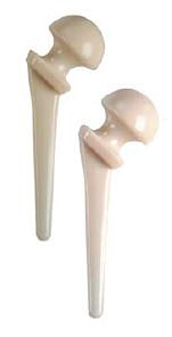 These temporary, implantable devices incorporate Gentamicin and are used to provide a replacement for a joint prosthesis which has been removed as a result of a septic process. Effective in-situ release of high local antibiotic dosage, with reduced systemic effects. Homogenous distribution of antibiotic in the cement. Partial weight-bearing and functional use of the limb (must be fully assessed on an individual patient basis). Improved quality of life between surgeries. 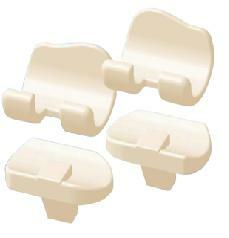 Our shoulder spacer is a temporary implanted spacer that aids in the treatment of infected shoulder prosthesis. The method is used in tow stages: in the first stage, the infected prosthesis is removed and the spacer is placed. In the second stage, once the infection cures the spacer is removed and the definitive prosthesis is positioned in its place. Effective antibiotic release 'in-situ', with high local concentration. It prevents tissue retraction, thus facilitating further revision and re-implantation surgery. Simplification of the revision surgery. The only spacer which permits the temporary insertion of the rotator cuff, to prevent its retraction. Patient early rehabilitation: joint movement is maintained. Higher quality of life between surgical stages.